Seats are filling up fast, we've a number of sponsors on board and the speaker line-ups have all been confirmed. It's an MVP driven event and will have some great speakers presenting content across two tracks on the day. Tickets cost a mere EUR 25.00 and all proceeds from registration goes to our designated charity - Camara. If you're in two minds about attending and are thinking about holding off till the live stream or recordings become available, then you'll be sorry to hear that we won't be streaming or recording any of the sessions so make sure you get registered to attend if you want to learn about what's new in your chosen track. 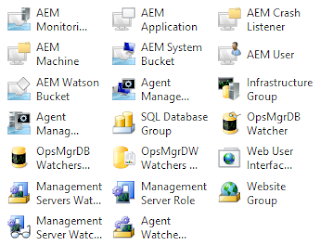 The APM set contains images for things like Server and Client Side monitoring, services, Web Application transactions and WCF functions. In the Network Monitoring stencil, you get images for network devices such as routers, switches, VLAN's, fans, memory etc. 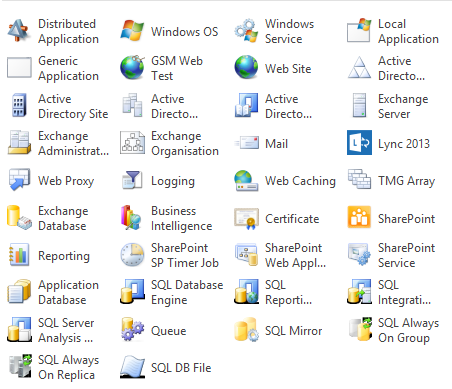 This set contains images for applications such as Exchange, SQL, SharePoint and Lync. 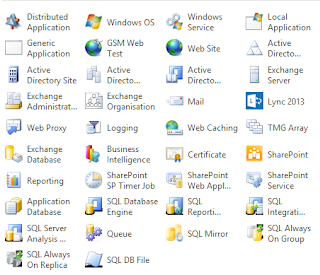 You'll also find some generic application images in there that can be handy when creating Visio diagrams for your SCOM proposals and technical documentation. 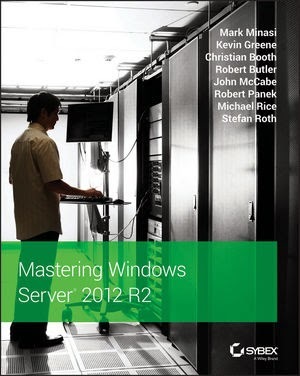 Continuing on with the same theme, this post contains new SCOM 2012 R2 infrastructure stencils to help you enhance your technical documentation and presentations. Now, there's already a number of SCOM Visio stencils doing the rounds out there and most recently, Larry Rayl updated the original SCOM 2007 ones to reflect the new SCOM 2012 roles. I'm not going to recreate the wheel here and just redo Larry's stencils as they are more than sufficient for most people's needs and if you want to download them, you can do so here. What I wanted to do was to create some Visio stencils for SCOM 2012 R2 that reflect how SCOM sees the world through it's own diagram views. When I started working on this I quickly realised that I'd need to create more than one stencil set due to the large number of different components and roles in SCOM, so this post is the first of four that I'll share here in relation to SCOM stencils. 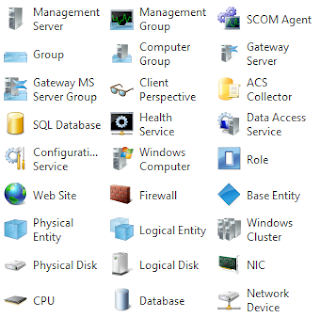 This stencil is based on the SCOM infrastructure side of things and along with the usual management server and agents, it contains images for things like the Data Access & Configuration Services, different entity types and groups. 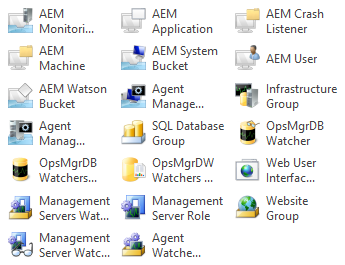 I've also added in some images around the 'often-not-used' but sometimes pretty useful Application Exception Monitoring (AEM) functionality as this can come in handy when creating new sales proposals that need to include information on it. As a consultant, my job involves working closely with our sales and pre-sales teams to deliver comprehensive technical documentation for our customers around the solutions that we deliver. Good documentation is always more powerful when you include some decent Visio diagrams that give the reader a proper visualisation of what you're proposing. 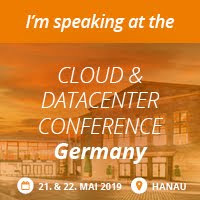 Working with System Center over the last few years, I've learned quite a few tips and tricks to help me create nice visualisations by leveraging System Center Operations Manager (SCOM) and some nifty PowerShell scripts. 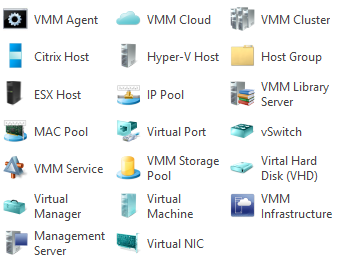 Using these methods, I've created a number of Visio stencils that I think might be worthwhile sharing with the community and in this first post (hopefully I'll get around to doing a few more of them over the next week or so), I'd like to share my Visio stencil for the recently released System Center 2012 R2 - Virtual Machine Manager. The stencil contains twenty images that should cover off all the roles and components of SCVMM 2012 R2. Let me know if you have any suggestions or problems with the stencil by posting in the comments section below. 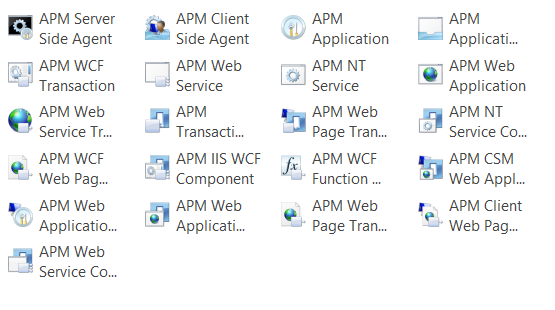 A few days ago, the new VM Role Authoring Tool for Windows Azure Pack (WAP) and System Center 2012 R2 has been released on Codeplex. This tool is used to author the VM Role 'Resource Definition' and 'Resource Extension' artifacts. The release of the Virtual Machine Role in Windows Azure Pack and System Center 2012 R2 introduces a cloud service application deployment model to deploy virtual machine workloads that will be deployable on premise and in Windows Azure in the coming year. Hand-crafting these packages against the published schemas of the model is a slow and tedious task. When you've watched the video's, I'd recommend that if you're interested in WAP and System Center 2012 R2, then you subscribe to Charles' YouTube channel (http://www.youtube.com/user/charlesjoyMS) to keep up to date with anything new he releases. If you've been hiding under a rock for the last few months, then you might not be aware that Microsoft have just recently announced the General Availability of Windows Server 2012 R2. 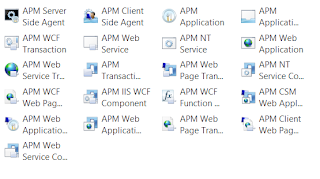 The amount of new feature enhancements and additions that come with this release when compared to its 'not-so-long-ago released' predecessor (Windows Server 2012) are unreal. This updated Windows Server 2012 book was due to hit the shelves by March/April of this year but when Microsoft announced the upcoming Windows Server 2012 R2 release (codenamed Windows Blue), we just knew we had to re-do our work on the book to keep it consistent and current. What we didn't realise is the sheer volume of extra work that the new R2 release had landed us with and suckers like me who had 8 chapters to work on pretty much had to do a re-write of everything - not to mention labs being rebuilt/upgraded too! Anyway, all that madness is behind us now and the book is available for pre-order on all the usual channels with discounts up to 33% knocked off the RRP on Amazon.